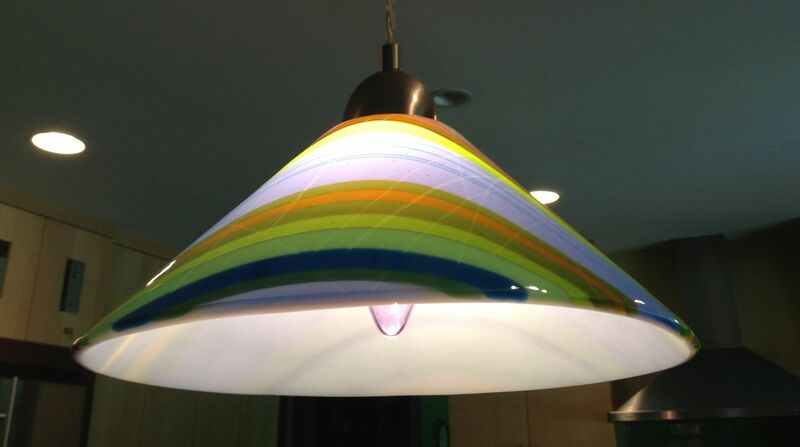 This handmade glass light fixture was made by fusing and slumping colorful sheet glass into a wide cone shape. 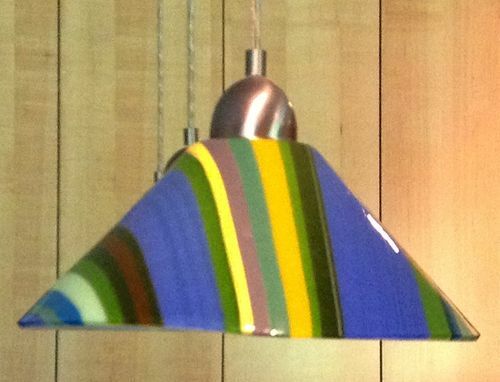 An inner layer of white glass diffuses the light and allows the colors to be more pronounced. 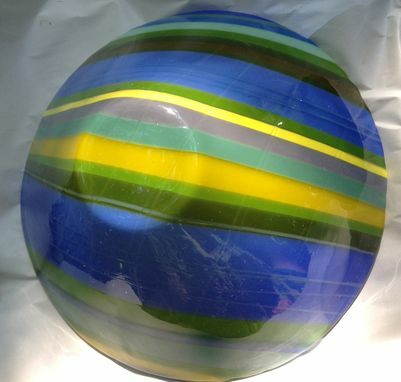 This particular light fixture was custom ordered and created for a New England farmhouse kitchen. The color palette was chosen to coordinate with the home's design and the clients' preferences. The style is simple and clean to fit the rest of the interior.